Back in December, John Granger and I had the opportunity to chat on Middle Earth Network Radio with delightful host Dave Kale on the subject of the DVD extras offered with Harry Potter and the Deathly Hallows: Part 2. Though we really enjoyed (and discussed at great length) the segment on both female characters and the actresses who portray them, I bemoaned the lack of a really wonderful documentary sequence featuring Alan Rickman, as I have been delighted, amazed, and ultimately deeply moved by his riveting performance as the prickly and profoundly complex Potions master. This article from The LA Times, does something to alleviate that gap, including some nice thoughts on Rickman’s decade of playing one of the most misunderstood guys in black since Johnny Cash and even ponders Rickman’s Oscar prospects. After all, as the article points out, Rickman was the only actor in whom Rowling confided, the only one who really knew the ending point for the winding road of his story. Rowling, the sometimes Machivellian, always controlling, Dumbledore-figure in the novels’ composition process, thus made Rickman even more like Snape by giving him the missing, magic information she withheld from the charming young actors playing the leads. But, of course, Rickman’s work is not all type-casting. Though sometimes aloof, the actor is known as a delightful person (one of my colleagues, our drama instructor, once met him at a dinner party and found him to be a great fellow), a warmth which comes through nicely in the article. 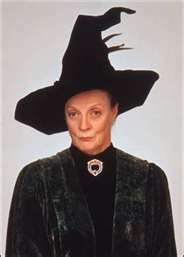 Now that the series has reached its cinematic conclusion (a milestone we covered on our most recent Pubcast), talk is circulating that Rickman (and perhaps the phenomenal Maggie Smith as well) may be eligible for Oscar consideration, just as the Academy held out those high honors for the Lord of the Rings films until their finale. So far, of course, the only honors the Potter films have garnered have been technical ones, but there is speculation that now Rickman, at least, may be acknowledged for his role. So what do you think? When the Oscar nominations are announced next week, do you expect to see acting honors (as well as technical ones) offered to the Potter films? 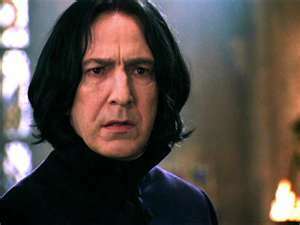 Or will Rickman be as misunderstood and underappreciated for his work in these movies as Snape himself? That was an interesting interview. I love your description of Rickman’s Malfoy Manor scene. I cannot imagine Rickman not getting the Oscar. Well gee….So much for my one and only ever Oscar prediction. Not even nominated! I guess I really do not understand what the Academy looks for. Do they discount prior performances in a serial work like the HP films? Do they dislike classically trained British actors? Do they give points off for box office success and the size of an actor’s fan base? Do they count the number of minutes the actor is on screen? Who knows….not me, that’s for sure. I just read the list, and not only did they ignore Alan Rickman and Dame Maggie Smith once again, but they also ignored anything to do with Harry Potter altogether. Or were there some technical awards. Whatever. I learned long ago to not pay attention to the Academy since they rarely pay attention to any movie or actor that I actually like. Rickman was amazing, as he is in every movie he is in. And yet, nothing. I can’t answer your questions, Mary Ellen, but my guess is that there is a lot of jealousy directed toward the formidable British cast of the Harry Potter films. Deathly Hallows 2 was up for three technical awards, only one of which it probably has a chance of winning because in the other two it’s up against Hugo. I think that the quiet satisfaction that comes from doing your craft excellently, and being let in on the secret by Rowling, is more than sufficient than any longing on his part for a dusty statuette that in the end, he can’t take with him. But then again, I am not a Hollywood actor and I can’t pretend to know their values, superficial or otherwise.